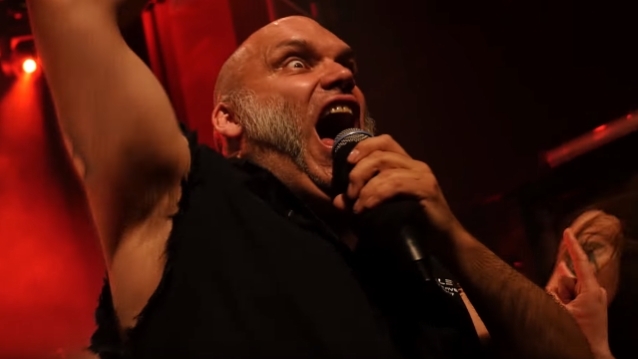 British heavy metal vocalist Blaze Bayley, who fronted IRON MAIDEN from 1994 until 1999, will play a special MAIDEN setlist at select festivals in 2019. Choosing songs from his era with the band, these shows will celebrate 25 years since Blaze joined IRON MAIDEN. This will be the first and last opportunity to see such a setlist. Blaze, who will release a new album and DVD, "Live In France" on March 1, and has just returned from a successful stint touring Latin America, sees this as the perfect opportunity to celebrate his time in MAIDEN which was such a positive experience and influence on his career as a whole. 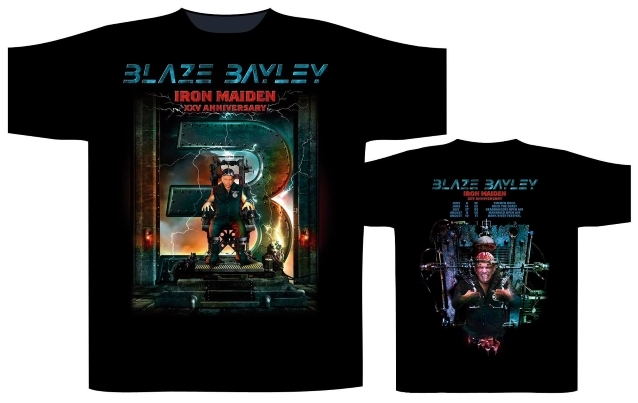 Blaze says: "Twenty-five years ago, my great adventure with IRON MAIDEN began. It was a wonderful five years in my career and something I'm very proud of. Since then, I have toured almost every year and made 11 studio albums and three live albums. Recently, many fans have asked me to perform songs from the two albums I recorded with IRON MAIDEN, so this year to celebrate that magical time, I'm doing a full set of my favorite songs from [1995's] 'The X Factor' and [1998's] 'Virtual XI' albums at festivals. "My voice has developed and changed since my time as lead vocalist with IRON MAIDEN. Now I feel I'm singing better than ever, so I'm very excited about singing those old songs with the voice I have now." Chris Appleton says: "Normally when we perform as Blaze's band, we are a four-piece, including Blaze, so just myself on lead guitar and that really works for us. But for these MAIDEN sets, we think it's really cool to bring in my brother Luke as second guitarist to enhance the MAIDEN feel. An additional celebration of the anniversary is a re-interpretation of "The X Factor" album cover art done by the very talented Akirant Illustration to help promote these shows and on a special run of T-shirts. Bayley would like to thank Akirant for his excellent work and also thank IRON MAIDEN manager Rod Smallwood and his team for their kind authorization and messages of support. In a 2017 interview with Spain's EMP Live, Blaze talked about the obstacles he faced while trying to become accepted by MAIDEN fans as Bruce's replacement. "I think for all of us, if we fall in love with a band and we fall in love with a voice, it is very difficult to make an adjustment to a new voice," he explained. "And for me, I had incredible support from thousands of fans all over the world. But there are some fans that hated me, hated my voice and they still do. And that's okay, because it's not for everyone. "My style is very different to Bruce, and when [IRON MAIDEN] chose me to replace Bruce, I was very surprised because my voice is so different," he continued. "But it is the most incredible job. As a heavy metal singer, it's perhaps the number one job that you can have — to be the singer of IRON MAIDEN. 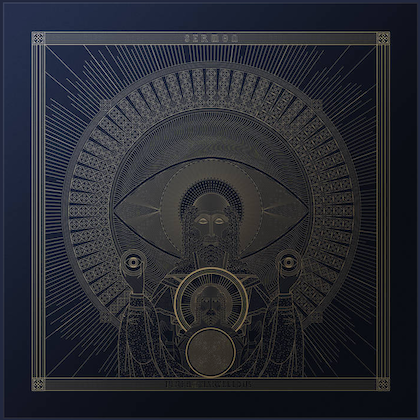 So my passion and my heart was there, and the music that we made on 'The X Factor' and 'Virtual XI', which have been re-released now on vinyl, was incredible. And people that perhaps didn't like the change at the time, now they go back and listen differently, with fresh ears, to the records and the music that we made then, and perhaps that's why now I've become more popular than I ever was after IRON MAIDEN. Now, more than twenty years, people really start to take notice of what Blaze Bayley is doing." According to Blaze, his dismissal from MAIDEN in January 1999 came as a total shock, but he doesn't believe the band was completely to blame for the decision. "The main reason that I was leaving IRON MAIDEN is because of EMI [MAIDEN's record label] and the business," he said. "That is what I believe. At the time, BLACK SABBATH had the reunion with Ozzy [Osbourne], DEEP PURPLE had the original lineup with Ian Gillan reunion, and CD sales worldwire were going down. And I think the record company put a lot of pressure on the band to have a reunion. So, for me, it was a horrible time, but it is still a time I think of very fondly. And Steve Harris [IRON MAIDEN bassist] was really like a mentor to me and taught me so much about songwriting. So those values and the things that he taught me are things that I put into my own work now." Blaze also shot down speculation that there was bad blood between him and Dickinson, insisting that the two singers have always had an amiable relationship. "Bruce Dickinson and I have been friends before [I was in] IRON MAIDEN, and Bruce Dickinson was very supportive of me when I was in IRON MAIDEN and after IRON MAIDEN," Blaze said. "When he had his own radio show, he helped me and played my music on his show. And my newest video, for 'Escape Velocity', was actually filmed at his aircraft simulator. So he had helped me a great deal."